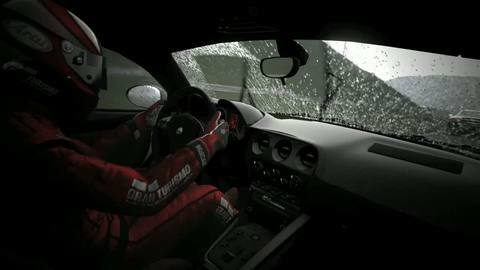 Gran Turismo creator Kaz Yamauchi reckons the long-awaited fifth game in the series – still without an official release date – was restricted by the capacity of the PlayStation 3. Don't be shocked - the Polyphony boss reckons every PlayStation he has worked on has "restricted" him, including the PS3. "Software has to be created under the restriction of the hardware," he told the latest issue of Esquire UK (via CVG). "With Gran Turismo 5 we've made it as clean and beautiful as possible within the confines of the space we're given - but of course there's a lot more that we want to put in." Amazing scenes. At this point we expect Gran Turismo 5 to bring peace to the world and end poverty when it's eventually released, which, by the way, Sony says will be before Christmas. Last week Yamauchi revealed that work on the next instalment, Gran Turismo 6, had already begun. "It's not something that we can talk that lightly on," he said. "It took 2000 days to get all the ideas that went into GT5. "It's just too early to be talking about GT6." 2000 days is five-and-a-half years, by the way.